Source fabrics and trims, attend business seminars, meet factories, sample makers, printers, and all kinds of production-focused industry folks. These are shows you attend for free. DG Expo: DG Expo offers a textile and trimmings exhibit for designers and retailers. The expo also offers seminars on business growth and textile classes. The expo hits New York January 15th and 16th, 2019, Miami March 25th and 26th, 2019, Dallas April 3rd and 4th, 2019, and Chicago August 27th and 28th, 2019. 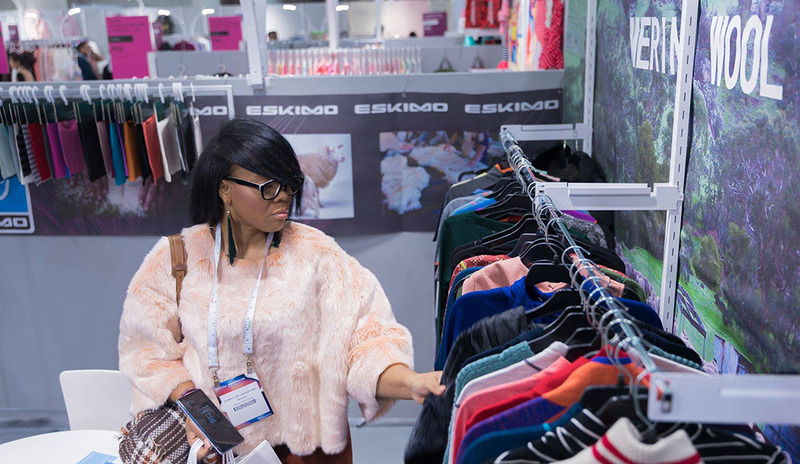 Texworld USA: Texworld USA is North America’s largest sourcing event for designers, fabric buyers, and merchandisers consisting of products ranging across the entire spectrum of fabrics. The next Texworld USA is scheduled in New York January 21st-23rd, 2019. Sourcing at Magic: Sourcing at Magic is a fashion-sourcing event where attendees have access to global resources and receive insight into trends and information regarding inventive technology and the industry. It takes place February 4th-7th, 2019 in Las Vegas. Kingpins: Kingpins offers a tightly selected list of vendors including denim and sportswear fabric from all over the world. The show happens in various cities, with the next show in Amsterdam April 10th-11th, 2019. Indigo/ Premiere Vision: This show brings 125 exhibitors including design studios, bookshops, and trend bureaus while showing designs for prints, embroideries, knits and more. Indigo New York will be January 15th-16th, 2019. L.A. Textile Show: This show is the fashion industry’s premier West Coast destination for textile, design, and production resources from around the globe. Showcasing hundreds of international fabric collections and design services, the caliber of resources and fashion direction is presented with the West Coast’s contemporary and lifestyle designers in mind. They also have a sourcing pavilion for finding factories and other production-related services. This show takes place from March 6th-8th, 2019. CFE MANUFACTURERS TRADE SHOW: Meet over 20 manufacturers and supporting services who offer sampling production and specialist skills to fashion labels. Browse the array of exhibitors or book in one-to-one appointments with enterprises suitable for your business. Connect with high-end fashion production units and services. The trade show will run alongside luxury fashion fabric show, Textile Forum where exhibitors will be showing more than 70 collections of fabrics for spring/summer and autumn/winter. This show takes place in the fall (2019 dates TBA). Textile Forum The Fashion Fabric Show London: Textile Forum has cemented itself as London’s premier sourcing event for luxury fashion fabrics. The show attracts fabric buyers from major fashion retailers and brands, established independent design businesses and start-ups, tailors, craft shops, seamstresses and costumiers. This show takes place in London from March 13th-14th, 2019. MUNICH FABRIC START: A dedicated trade show for members of the fashion industry, manufacturers, and suppliers. Each season large numbers of fashion professionals from across Europe head to Munich to research and source for their new collections. The next show is January 29th-31st, 2019. Functional Fabric Fair: This is a trade-exclusive event showcasing the latest trends in fabric development for the functional textile industry. The next Functional Fabric Fair will be held on July 22-23rd in NYC. Source Africa: Source Africa is the leading industry event of its kind that brings together suppliers, manufacturers, service providers and buyers all under one roof and takes place June 12th-14th, Cape Town, South Africa. International Apparel and Textile Fair: The UAE’s exclusive sourcing and textile fair will be held November 4th-6th in Dubai. ShanghaiTex 2019: This trade show will showcase top-notch textile technology and introduce the “Textech Galaxy,” which will explore how new technology is transforming different parts of the fashion industry. The show takes place November 25th-28th in Shanghai. Pure London: Pure Origin London unites manufacturers and buyers in London’s busiest fashion trade hub. July 21st-23rd. Get new wholesale accounts, attend networking events, meet fellow designers, press, boutique owners, and all kinds of sales and marketing-focused industry folks. These are shows you participate in for a cost. For these shows you need to have your packet ready to share with buyers: look book, wholesale line sheet especially. Coterie: Coterie is the premier global event that connects women’s apparel, accessories, and footwear designers with the international “who’s who” of retailers. Coterie builds exclusive shopping experiences from the ground up so that brands and buyers can create synergies that fuel their businesses. This show is held in NYC from February 25th-27th, 2019. EDIT(at Coterie) EDIT becomes a destination at Coterie. EDIT is a highly-curated presentation of recognized and rising international designers, highlighting ready-to-wear and accessories collections with remarkable quality. Previously a separate show in the February and September markets, this elevated showroom environment is now the newest neighborhood at Coterie. EDIT comes to NYC February 25th-27th, 2019. TMRW(at Coterie): Advanced Contemporary Lines and Emerging Designers with Global Perspective. This show is also a “neighborhood” at Coterie in NYC February 25th-27th, 2019. Capsule: Capsule holds a men’s show in New York City January 21st-23rd, 2019, a women’s show in New York City February 23rd-25th, and a dual-gender show in Las Vegas February 5th-7th, 2019. There will also be a women’s show in Miami in July 2019 (dates TBD). Designers and Agents: Designers & Agents identifies emerging talent and creates connections with designers and buyers. D&A features brands from around the world that are the influencers of the market. This show comes to Los Angeles from January 14th-16th; March 11th-13th and NYC from February 23rd-25th, 2019. COAST: COAST shows come to Miami January 21st-22nd, 2019 and March 18th-19th, 2019. COAST offers the latest trends and bridges the gap between designers and retailers, while becoming a global trade show. Agenda: With a portfolio of over 1,000 brands, Agenda is the most diverse fashion trade show in the world. It comes to Las Vegas February 5th-7th, 2019. POOL: The POOL tradeshow is where new items are found for the boutique market for all sorts of retailers. POOL comes to Las Vegas from February 5th-7th, 2019. AccessoriesTheShow: NEW YORK AccessoriesTheShow creates the world’s largest and most vibrant marketplace for juried accessories each and every season. Comes to NYC January 6th-8th, 2019. Accessorie Circuit/ Fraiche Circuit: Established in 1987, CIRCUIT is a comprehensive women’s accessory and footwear exhibition featuring designer and fine jewelry, handbags, footwear, scarves, belts, and gift items. This exhibition runs concurrently with ENK’s Intermezzo Collections. Comes to NYC January 6th-8th, 2019 and June 9th-11th, 2019. COEUR x Project Womens: Fashion, accessories, gift, home, and lifestyle show. Comes to Las Vegas February 5th-7th, 2019. TRANOÏ: An artistic platform with a curated selection of international premium designers, created for them to meet the most influential fashion ambassadors. In addition to fashion tradeshows, TRANOÏ also puts together artistic installations, designers exhibitions, catwalk shows, parties and all sorts of events which arouse the dreams and desires inherent to fashion. Comes to Paris January 18th-20th and March 1st-4th, 2019. Comes to Shanghai for the first time March 28th-31st, 2019. NY NOW LIFESTYLE: Will showcase a broad spectrum of merchandise categories, including giftware, personal care, stationery, fashion accessories and children’s products. Coming to NYC February 3rd-6th, 2019. The Ethical Fashion & Beauty Tradeshow: This unique initiative was formed to showcase brands and companies in the fashion and beauty world who put people and the environment at the center of their work. It is about like-minded people coming together to celebrate and learn more about the growing ethical beauty and fashion industry. A new and exciting event coming to London in 2019 (dates TBD). Pure London: With eight exciting show sectors and the addition of Pure Origin, take your place at the UK’s most unmissable fashion retail event. Next event is February 10th-12th, 2019. The Lingerie Selection: dedicated to promoting independent brands in the fast-growing lingerie segment and one that is very much in-demand. The show connects brands and buyers, and forms a community of lingerie professionals, all seeking to provide their customers with exactly what they desire. It has two formal industry shows per year and creates other activations year-round to engage customers and increase brand awareness. The dates for the next show are February 24th and 25th, 2019. 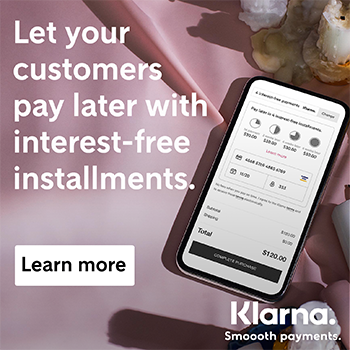 KnowShow is Canada’s premier lifestyle trade show and it takes place July 7th-12th, 2019 in Vancouver. Man / Woman Shows: The Man and Woman shows are dedicated to bringing together a select community of brands from around the world and offering brands an introduction to the right buyers. The Woman shows will be in New York February 23rd-25th, 2019 and in Paris March 1st-3rd, 2019. The Man shows come to Paris January 18th-20th, 2019 and New York January 22nd-24th, 2019.
International Jewelry London: The largest global meeting place for the jewelry industry comes to London September 1st-3rd, 2019. Who’s Next: Who’s Next is the leading international fashion trade show for women in Europe. The next show is January 18th-21st, 2019 in Paris. Jacket Required: On July 24th and 25th in London, this premium fashion trade show is open exclusively to buyers and members of the press. Outdoor Retailer: Outdoor Retailer takes place in Denver June 18th-20th, 2019. This is North America’s largest trade show in the outdoor clothing industry. Scoop: Scoop is a designer womenswear trade show held at the iconic Saatchi Gallery in Chelsea, London and takes place July 21st-23rd. Seek: Seek is a progressive contemporary fashion trade show taking place in Berlin July 2nd-4th, 2019. SwimShow: The world’s largest swim show takes place in Miami on July 13th-16th, 2019. American Handcrafted: This is the largest North American handmade wholesale show in the northeast and it comes to Philadelphia January 27th-29th, 2020.
is there a show for apparel manufacturers? Hey Aayush! Yep, Apparelsourcing, which happens in conjunction with Texworld in NYC in January and July. I would look in Apparelsourcing, which happens in conjunction with Texworld USA in NYC in January and July. Any shows in Europe that are not listed here? I am a start up brand and still looking for the ” perfect ” manufacturer. Yes, there are a few listed in the post. Pure Origin is coming up in July in London. Good luck with your store, David! We hope our blog posts aimed at emerging fashion business owners are helpful to you. I ha e a small garment manufacturing facility and am struggling to secure orders. Any tips to find/obtain new clients? I’m not sure where you’re located, but I would look into joining one of the online factory/brand match making platforms that have been popping up. Another thing to do is go to industry events where designers/brands are in attendance. Lastly, create a nice website and find online industry networking groups to engage in. Hope that helps! For fashion enthusiasts and especially bloggers, such events really provide a means of connecting with like-minded people and share experiences with each other. Thanks for sharing . Is there a show for resort collections in Miami in June/July? I am new to the e-commerce world and have created a website by starting with dropshipping. The only problem is finding a dropshipper that connects me with good clothing for women. I have shifted gears to looking for good fashion wholesalers or anyone who would be open to allowing me to help create an online boutique style site that sells their clothing. Are there any shows where I can connect with good wholesalers or stores that need an online presence? Thanks! I don’t know of shows where the brands are specifically looking to be connected with drop shippers. They are focused on getting new wholesale accounts (i.e. buyers up front) of their lines. Honestly, I’d suggest using Instagram to discover brands that you might like to carry on your site. Wow! Good collection, Thanks for sharing. We’re glad you liked it- be on the lookout for our 2019 version in early December. Your article is very very helpful for us. I’m running a small factory based in Vietnam for contemporary items for some brands in States. We are thinking about visiting some Trade Shows 2019 in USA to look for more potential brands/wholesalers in clothing. Our target customers are brands/wholesalers can have MOQ 100 pcs/style. We can also support for making SMS samples too. Please help let me connect to designers community or recommend which Trade Shows are suited. Hi Nicole, Hope all is well. I am a newbee . looking for a fashion event or wholesale fashion expo to start my own business. I like the trendy style of Francesca’s stores in the US , True Religion Jeans and Home goods store. what you recommend for me to shop their products for much lower prices than there stores in order to make profits? Thank you and looking to hear from you soon. Hi Tagreed, I’m sorry, I can’t help you. We work with designers who are launching their own collections. So the only trade shows I’m familiar with are shows for sourcing materials and shows for selling your own line. Best of luck! I own a manufacturing unit of denim fabric in India. We have a monthly production capacity of 4 million mtrs. We would now like to start exploring the international market. What do you suggest. Which trade show should we start exhibiting with? My name is Ranjit Singh from India. I have my own textile business nad do manufacturing also in India, I want to visit to you and discuss about the business growth could you please send me the some details how can i get in contact with you ? or for the invitation letter so as it will be used during the high commission. My brand OZALIA Australia sells boots that are seasonal to winter. I’m looking at doing Atlanta Apparel or Magic in the USA. Is August a good month for buyers to be looking at winter products or would February be better? Hi Ranjit- have you considered joining our community? It is the ideal way to gain valuable advice about growing your business while also getting the support of other designers. You can join the waitlist here. Thank you for the list of fashion trade shows – Selling. Do you have a list of trade shows that individual designers can participate in Asia? Our brand is based out of India and we make women’s clothing using indian handloom textiles. We are looking at CENTRE STAGE, Hong Kong. Do you have any idea about this show? We have been participating at D & A NYC for the past few years and are planning to expand the exports in Asia. Hi Nicole, I loved your article! Are you able to send through a list of trade shows for later in the year? We are an ethical based yoga and activewear brand from Australia looking to attend our first US trade show later in the year. Any help would be appreciated. So glad you like the article. We release a trade show list at the start of year based on our research. The list spans the entire year ahead. A new one will launch in January 2019. Thanks! Great breakdown of shows for the start of the year. Can you make recommendations for August fairs in the US also please? We are planning to restart and create work on fine silk fabrics for Tops and ladies shirts etc with fine Indian embroidery as our culture is diverse with an unlimited range of crafts . Was wondering how you could help us? I hope you will also offer simple silk camisoles. I have purchased these in years past but am having difficulty finding them. Well, good collection! Thanks for sharing! Dear Nicole, thanks for sharing this. Trade shows are a great platform to form business relationships. But it’s important to carefully choose which ones to participate in or attend. Defining the objectives clearly and never losing sight of them can lead to fruitful discussions and gaining an insight into the fashion industry. Thanks Nikole for sharing the list of such great fashion trade shows. I came across your website today. You have some great content. I was wondering whether you are only listing tradeshows in the US? The reason I ask is that we are intending to launch London’s first Ethical Fashion & Beauty Tradeshow later this year. The show will be open to both trade on day one and consumers on day two in London, England. Just letting you know, if you wish to list our tradeshow also, but only if it falls within your remit. Thanks for sharing this awesome fashion trade shows with us! We are attending our first Trade Show here in Australia in October and will be looking at the USA next year. Your post has done the hard work of research – thank you! Will let you know when we’re visiting your town, would be great to catch up. Hi, thank you for the great article! We are a boutique in the US and looking to expand our buying to the Australian markets. Do you know of any young women/contemporary fashion trade shows in AUS? Seeking advise from Nicole or guests about which US fairs and expos would suite best for Goyol Cashmere’s products manufactured in cashmere, silk-cashmere, yak wool, camel wool and sheep wool. We attended Coterie Feb 2016 and would like to pursue further our goal to enter the US market with our pure, organic garments of about mid range pricing.